In order to be able to manufacture the highest quality components, you need to have the highest quality equipment. At Gwynedd Manufacturing we have over 60 state-of-the-art machines, many of which are less than 5 years old. We have machines from Okuma, DMG, Brother, Mitsubishi, STAR. Our capabilities span from vertical and horizontal milling, to EDM, to turning and grinding. Not only do we manufacture all of our own products in house, but we also do all of our own tooling and fixturing. All of this is powered by top-of-the-line 3D CAM software. Our production team is equally as large as our engineering team. 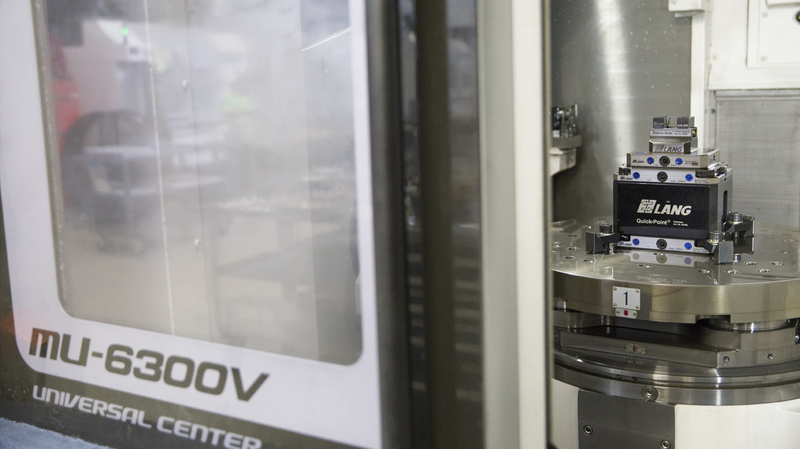 Utilizing the latest 3D CAM software, our CNC machinists are on the cutting edge of technology daily when it comes to innovative manufacturing methods. Keeping with the latest and greatest allows us to manufacture high quality, highly geometrically complex parts in a production environment. This gives the customer the a part that is the same quality as a custom one off prototype, but is available on a high volume production basis at an affordable cost. Not only can we machine very complex geometrical parts, we can do it in a production environment on a production basis. Regardless of the volume needed our team is capable of tooling up to meet the demand. Our experienced machinists can develop innovative production methods to assist in meeting large volume requirements on a tight timeline. In addition, since we have an array of machinery, we are able to scale to meet any economy of demand. With all of our own tooling and fixturing done here in house, we are also able scale to that demand very quickly. Allowing us to deliver your product in a more quickly and timely manner so that you can get back in the fight with over match capability.